Punch precise shapes that can be layered in perfectly graduating stacks. 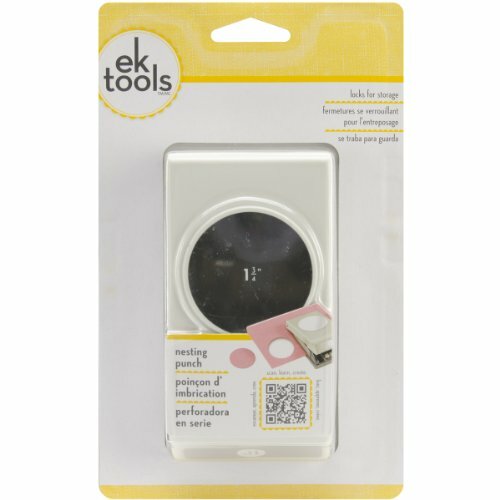 This ek tools 1.75-inch Circle Punch is part of the nesting punch collection. A great basic to have on hand for scrapbooks, cards, decorations and any paper craft. Punched out shape also works well as a mat for photos and other designs, while the remaining punched paper can serve as a frame or border. Compact design locks shut for convenient storage.